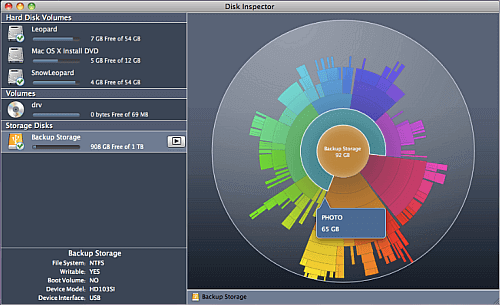 Today, I want to share this article about how to check disk space on Mac for you. Read along! Those people who tend to use their Mac every day are actually professional people like designers, developers, writers, students, and more. Even though you have a large space on hard disk and you have installed so many applications that you have and tend to use on your Mac, the higher the possibility that you are going to quickly run out of storage space. And you have to remember that this is actually one thing that we need to avoid because this may actually cause your Mac to run slow, overheat, and of course a big chance that you may run out of space. In reality, getting your Mac empty is way harder than trying to fill it up with your applications and other files. All the files and applications that you have on your Mac is actually stored on your hard drive. Now, you can go ahead and check the free space on your hard disk to see if you still have enough memory. And in case that you do not have any more space left, you can also free up some of your data and that is what we are going to show you here. For those users who do not know how you can do this, then this post about how to check disk space on Mac is for you. The disk space on your Mac is very important because once that your hard disk is full, then this might cause your Mac to slow down. Here is how you check up on your disk space on your Mac. Step 1: On your desktop, go ahead and click on the Apple icon and then choose "About This Mac" option from the list. Step 2: In the About Your Mac window, go ahead and select "More Info" button. Step 3: After that, click on "Storage" tab for you to see the disk storage capacity and overview. # 1: When you are on your Mac's desktop, go ahead and look for the hard disk icon. # 2: Right-click the hard disk icon and then select "Get Info" option from the list shown on your screen. # 3: After that, you will then see "Capacity" of your hard drive and as well as "Available" and "Used" space. NOTE: Once that you have figured out that you are running out of hard disk space, then there is a need for you to clean your Mac for you to be able to have more storage space on your Mac. For you to be able to free up your hard disk space on your Mac, you have to remove all files and applications that you are not using anymore. You also need to get in a little deeper if you like cleaning your languages files that you are not using, deleting your duplicate files, removing your attachments, and clearing up your temporary files. Here are the things that you would be needing to clear up on your Mac. One of the things that are actually taking up on your hard disk space is your duplicate files that are lying all over your Mac most especially if you are actually using your Mac for a long period of time now. For you to be able to clean up your duplicate files easily is to download a software that will help you locate and remove all of your duplicate files for you to have more disk space on your Mac computer. Your trash on your Mac is the same as the Recycling Bin on Windows computer. 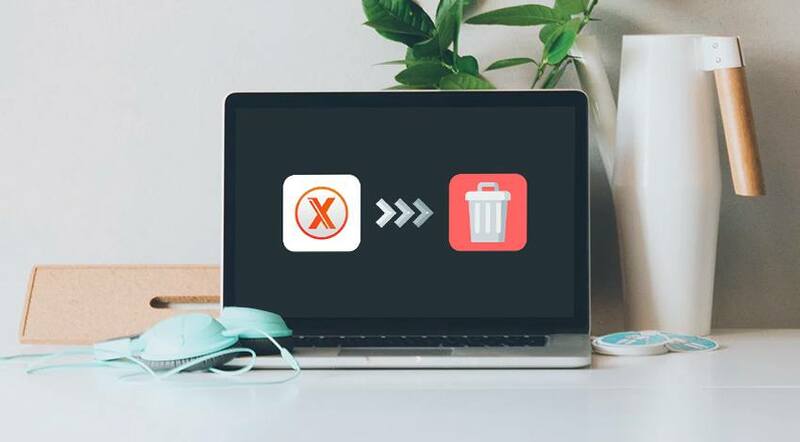 All the files and applications that you delete on your Mac actually goes into your trash which can restore these files and applications just in case that you will be changing your mind. However, if you are very much sure that you do not need those files and applications on your trash anymore, then why not just go ahead and delete them permanently. Doing so will allow you to free up some of your hard disk space. Of course, all applications that you have on your Mac computer actually use up your hard disk space. Now, for you to free up space on your Mac, then why not considering deleting those applications that you do not need. For you to delete applications on your Mac, just go ahead and click on Finder window and then choose the Applications in the sidebar. After that, go ahead and drag and drop those applications to the trash can on your Dock. For you to see the application that is taking up too much of your disk space, go ahead and launch Finder window and then choose Applications. After that click on the "Show items in a list" icon found at the toolbar and then click the size heading for you to be able to sort out all your installed application. Your Mac actually has temporary files that you do not use anymore and these files do take up some of your disk space for no good reason. Though Mac OS X has the ability to remove automatically these temporary files, you still might want to consider having a tool that will help you in removing your temporary files. Remember that deleting these temporary files will not make your Mac work faster but it will most definitely free up storage space on your Mac computer. For you to be able to free up your space on your Mac computer, it will be a great help if you know what are the things that are taking up most of your disk space on your Mac computer. This is for you to check if these files or applications are useful or not. But, if these files are no good, then you might want to consider deleting them for you to free up space on your Mac computer. All Mac applications usually come with language files for every language that they support. However, you might just be using one language file on your Mac computer, so you might want to remove those language files that you are not using because they are just taking up more space on your disk. If you happen to use any built-in Mail on your Mac computer and you have the same email for a very long time, then there is a possibility that your email attachments are taking some of your storage space on your drive. The latest version of your Mac OS Siera has, in fact, a new tool that can actually help you free up your disk storage. All you have to do is to go to your menu and then select "About This Mac" and then click on the Storage tab. From here, you can choose from three methods that you can choose from and enable it whichever have a sense to you. Store in iCloud - This actually lets you store your documents, desktop, photos, and videos in your iCloud. After that, Apple will then free up your disk space automatically as needed. Optimize Storage - This feature technically delete all purchased iTunes movies and TV shows after you have watched them to prevent them from cluttering on your Mac computer as this file occupies a large storage space on your disk. Empty Trash Automatically - If you enable this feature, it will then automatically delete all old files out of your trash. These files will be deleted after they have stayed in your trash for about 30 days. 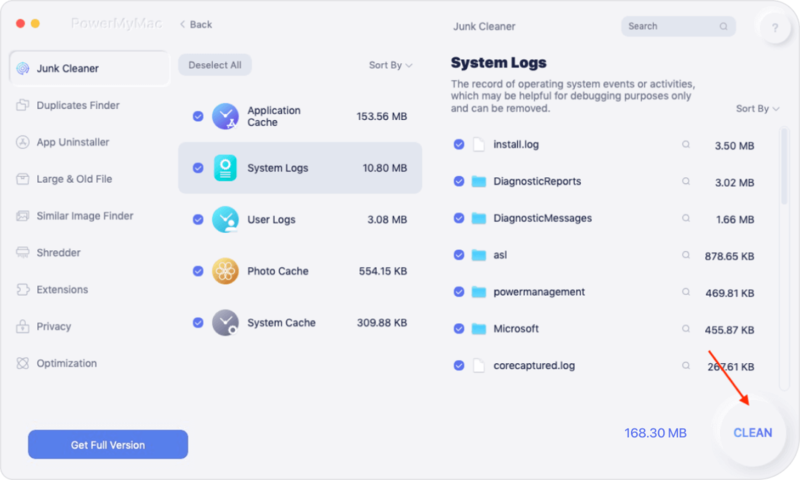 To top all the things that were mentioned above, the main key on how you can free up your disk space is to actually get your Mac computer clean like you duplicate files, junk files and more. You can do all this by having the iMyMac - Cleaner. 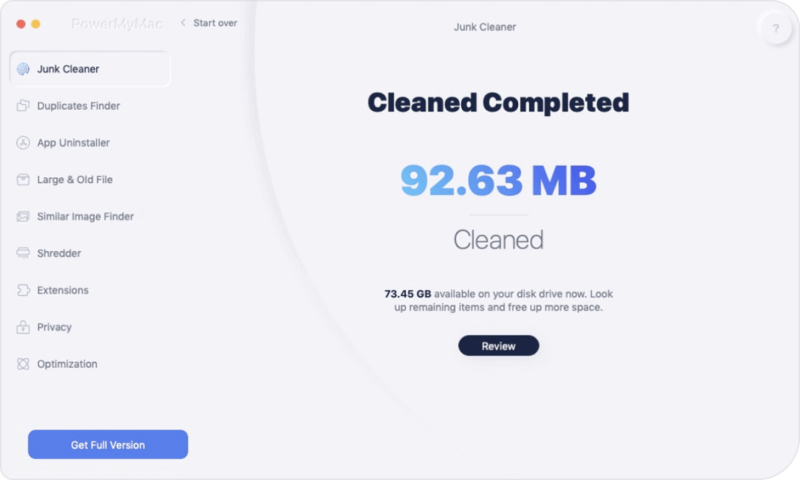 The iMyMac - Cleaner can help you speed up your Mac and free up your disk space as well. 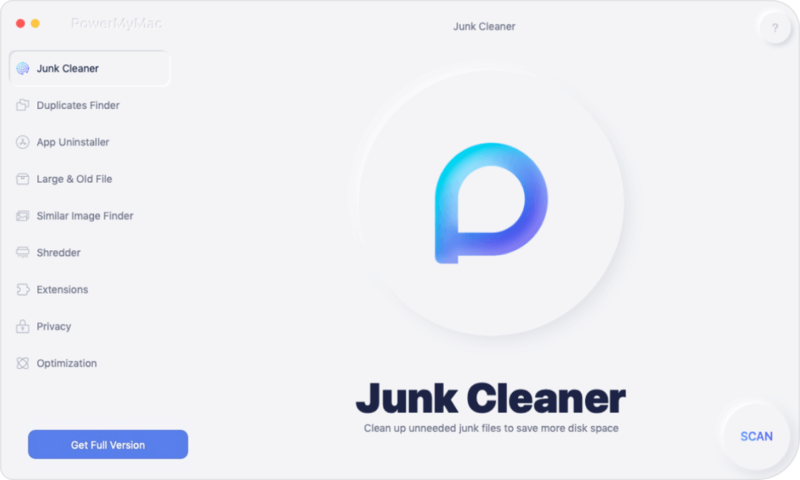 It can check disk space on mac and also quickly and safely delete all of your junk files from your Mac which will let you have more storage space for your new files. This amazing software can also locate and then remove all your unwanted email attachments, those unused iTunes backup, and your multi-languages. It can also help you scan and then delete the large files that you do not need. Here is a simple guide for you on how you can use the iMyMac - Cleaner for you to free up your disk space. Have the iMyMac - Cleaner downloaded and installed on your Mac and then launch it. Once the program is launched, you will see on the main screen your Mac system status. After that, go ahead and click on "Junk Files" found on the left side of your screen for you to be able to clean up your junk file. After that, go ahead and click on the "Scan" button and then wait until the software is done scanning your Junk Files. Once the process is complete, iMyMac - Cleaner will show you all your junk files. You can also click on the "Re-scan" button if you want to scan your junk files again. Once the scanning process is complete, the software will then show you junk files into categories like Application Cache, Photo Junks, Mail Junks, System Logs, System Cache and more. From here, choose the category that you want to clean and you will be able to preview the items of that category from the left side of your screen. Choose the items that you want to delete and then click on the "Clean" button. Confirm this action by clicking 'Confirm" on the pop-up window that will appear on your screen. TIP: Repeat the process from step 1 if you want to free up more of your disk space by removing your cluttered files and large old files from the selection shown on the main screen of the program. Once that all of your unwanted and unused files will be deleted from your Mac computer. You will be able to see "Zero KB" beside each folder which means that it has no junk file left. Other folders do not have this indication because those might be an auto recreated folders. Having the habit of freeing up your disk space is one good idea for you to be able to save more files and applications in the future. And always remember that having an almost full dis space have the tendency to make your Mac computer slow down which we are sure that you do not want to happen. Good thing that we have the iMyMac- Cleaner which is a great help for all Mac users. Having this program can let all Mac users clean their disk space on a regular basis and can also help them boost up the performance of their Mac computer. This program will help you locate and delete all of your junk files, duplicate files, email attachments, large old files. having this program installed on your Mac computer will make it easier for you to optimize the use of your Mac computer in the future. This program will surely be a great help for you.